Vivi JP magazine, February 2011 issue - mag scans | Memorable Days : Beauty Blog - Korean Beauty, European, American Product Reviews. 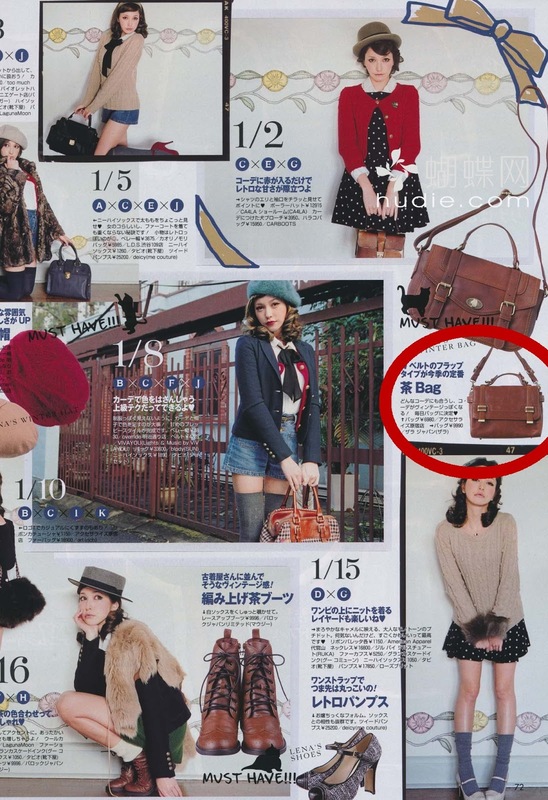 January 2011 has just started and the February 2011 issue of Vivi (Japan) magazine is already out! Have you missed the January 2011 issue? 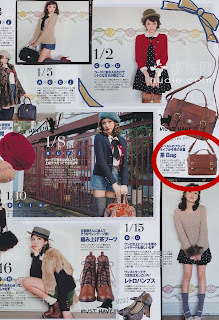 Go to this link to check it out: http://memorabledays-x3.blogspot.com/2010/12/vivi-jp-magazine-january-2011-issue-mag.html. Koda kumi is on the February 2011 cover, she is a famous Japanese singer. In this issue you will see lots of vintage stuff :). Besides you will also read an article about the South Korean boy band: 2PM. Skip this post if you don't want to see the scans. However, if you do want to see it, just move on ^^ The download link for this issue is below :) click on the link to read more. Would you like to have the whole Vivi February 2011 issue? You see that bag on the left picture where I have put a red circle around it. I've seen that bag in ZARA!!!! xD It was €40.- and I was really hesitating to buy it, but eventually didn't cause I know that I wouldn't use it that often =/. Fur and leopard print is still hot next year ^_^! Thanks for the scans love <3!! Mag je dit trouwens eigenlijk wel online zetten? thanks for the mag~! <3 but i cant seem to view it, what format does the scan use? thanks a bunch! @anonymous, you're welcome ^^ !